Talking tea, making friends through friends. 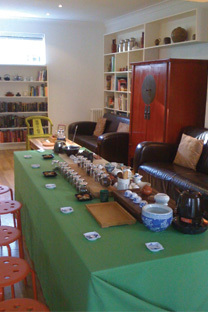 After months of planning and anticipation, we hosted our first Tea Open House on 12 December. All the hard work paid off as we had a great time sharing and talking about tea and forgot the clock, ending the Open House nearly 2 hours late! 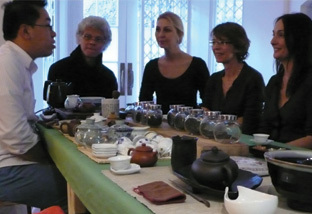 Although this event reminded me of the tea appreciation taster workshops I did at The British Museum last year, it was also very different. 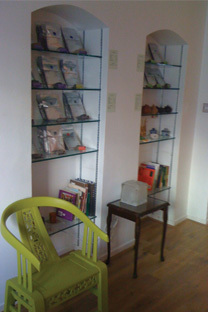 Without a fixed timeframe the Open House format allows us the freedom to talk about tea till the cows come home! 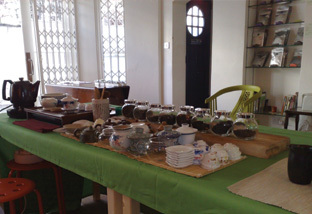 I thoroughly enjoyed showing the attributes of each tea and relating my tea adventures, and I felt much warmth in my heart seeing the delighted faces of the guests when they tasted good teas and visibly became more relaxed. Yuriko: Thank you so much for yesterday. It was such a wonderful experience. I loved it. 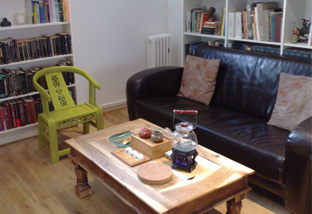 Atsuko: If you are interested in something new I would love to recommend you to go his tea salon. 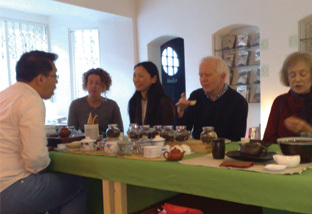 He has a deep knowledge and wonderful presentation of the tea tasting. We were also very excited to have have launched at the Winter Warmer Open House eight gorgeous new teas including fragrant and fruity Shanghai Chic, captivatingly aromatic Organic Golden Monkey, a cold brew version of the very popular Lychee Black, the unique Lishan Oolong, the alluring Silky Oolong, and a range of unusual, premium Japanese green teas including zesty Ginger Tangerine Sencha, exotic Yuzu Sencha and refreshing Shiso Sencha. We’re looking forward to our next Winter Warmer Open House on Saturday 19 December from 12-4pm. We have a lot more RSVPs this time so do come early to ensure a good seat! Click here for more details about the Open House. In the meantime, don’t forget to drink some more hot tea in this cold weather and happy holidays! 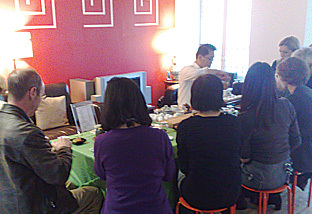 Looks like the first Teanamu Tea Open House was a huge success! I hope I can attend one in the new year! Thanks v much Kavey! Very encouraged by the attendance at our first tea open house. Am in the process of planning more. Will let you know as soon as I can get the dates confirmed.